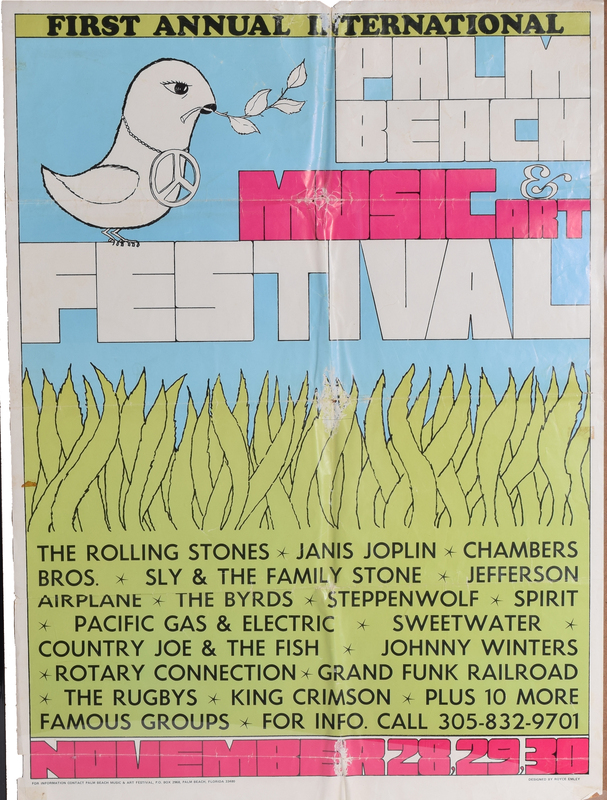 The concert, touted as Palm Beach County’s own version of the Woodstock Music & Art Fair, was scheduled for Nov. 28-30, 1969, at Palm Beach International Speedway on the Beeline Highway. rare poster Only 2500 where made and they included a mistake. 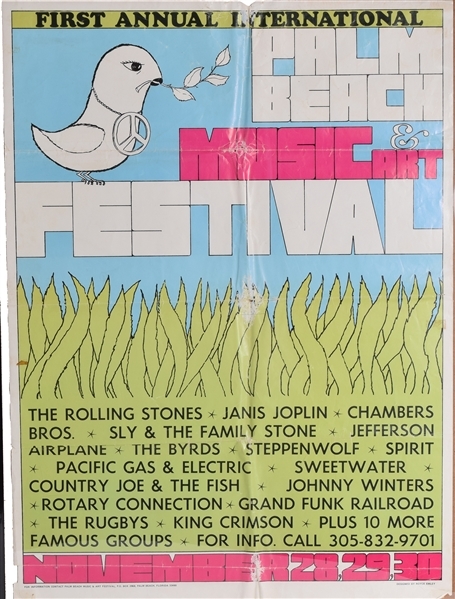 Some of the acts that performed at the Palm Beach International Music & Arts Festival in 1969: included the Rolling Stones, Chambers Brothers, The Byrds, and Steppenwolf to name a few. There are some condition issues, but it is extremely rare poster and we could find no sales in auction over the last 20 years.